Disclosure: This post is in partnership with We Made Me. As always, opinions are all mine. Babywearing is probably my most favorite thing in the whole entire world next to breastfeeding. It’s comforting to both child and parent, you keep them extremely close to you making it so easy to cuddle, to smooch the tops of their heads and babywearing leaves you hands-free to be able to do your daily routine even while keeping baby on you! Recently we were sent the We Made Me Smile Sling for Mia, and this gorgeous carrier Venture+ for Hanna. Both of which we are thrilled to add to our babywearing collection. Yes, even my husband loves to babywear our little loves too! Inspired Design: Inspired by hand-tied Meh Dai style carriers, the Venture & Venture+ uses easy to use buckles rather than traditional tying techniques. Simple Design in two sizes: Simple design made in two sizes to accommodate two different weight ranges, so that you get the best experience and fit for your little one. Shaped to Fit: Both Venture & Venture+ have beautifully contoured and padded shoulder straps, for added comfort and supportive fit with a dual adjustment system. and More…: The Venture range is one of the most affordable carriers with a front and back position, combined with a contemporary design and enhanced fit & comfort. 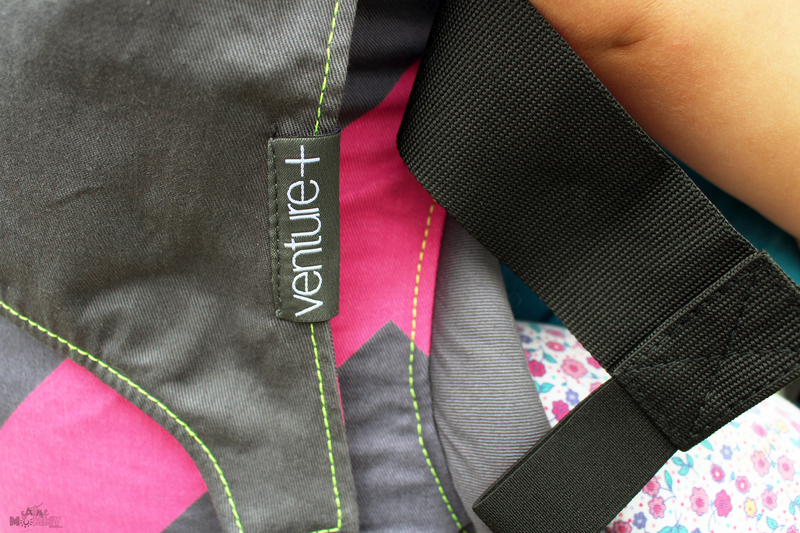 The Venture+ Toddler Carrier is for littles (18-36 months) – 24-55lbs/11-25kg. 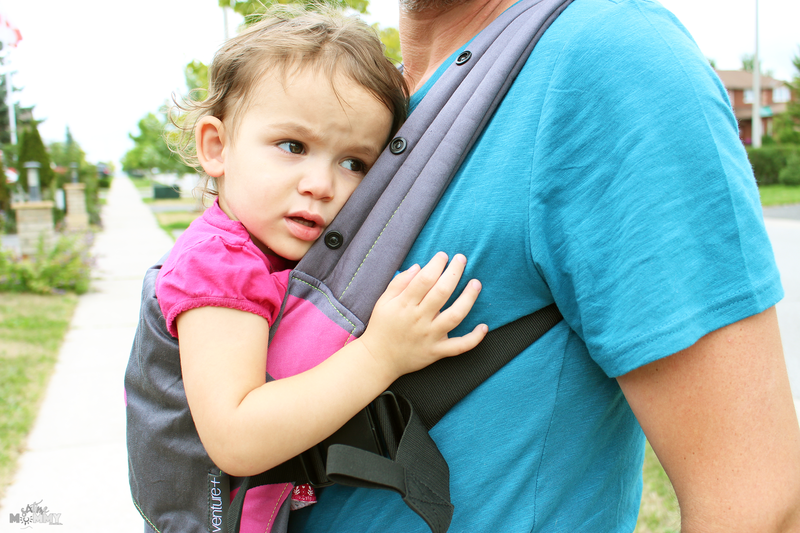 It’s about 40% cheaper than other toddler carriers on the market, and Venture+ Carrier is a simple ergonomic back & front baby carrier. It features softly padded wide shoulder straps and 2 sides adjustment buckles for better comfort and adjustability. Bucket-shape seat and contoured back panel to offer a perfectly ergonomic seating position for the baby. It’s comforting to baby/toddler and even us mamas who like having baby close to us at all times! 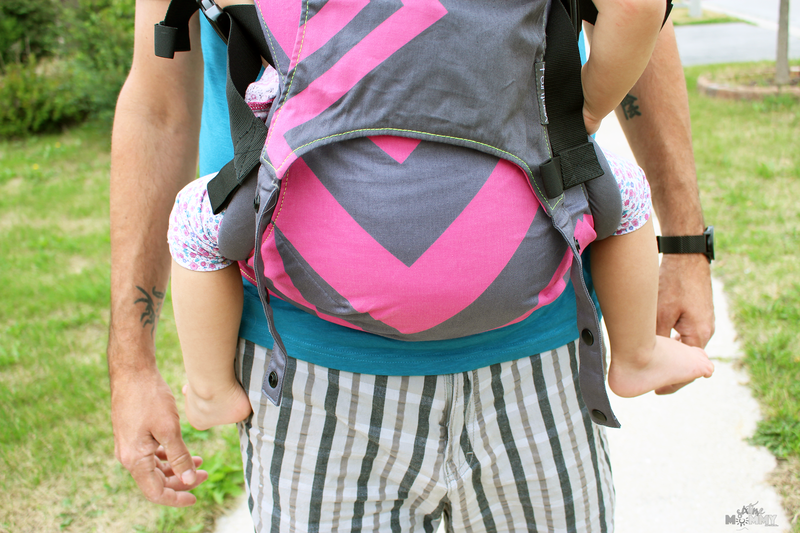 It’s convenient no need to lug around big strollers or chase after little ones while on the go! Breastfeeding is easier! yes, yes, yes! I can tell you I’ve breastfed in many carriers and it’s super simple, and easy when out and about! You also have a lot less crying when you babywear as I find a lot of the time my kiddos want to be picked up, held or hugged when under 3 so this lets him do that without worry! It’s beneficial and soothing. Not only does babywearing allow for more bonding time with a baby it also helps soothe baby and attend to baby’s needs faster and easier than when in a stroller. 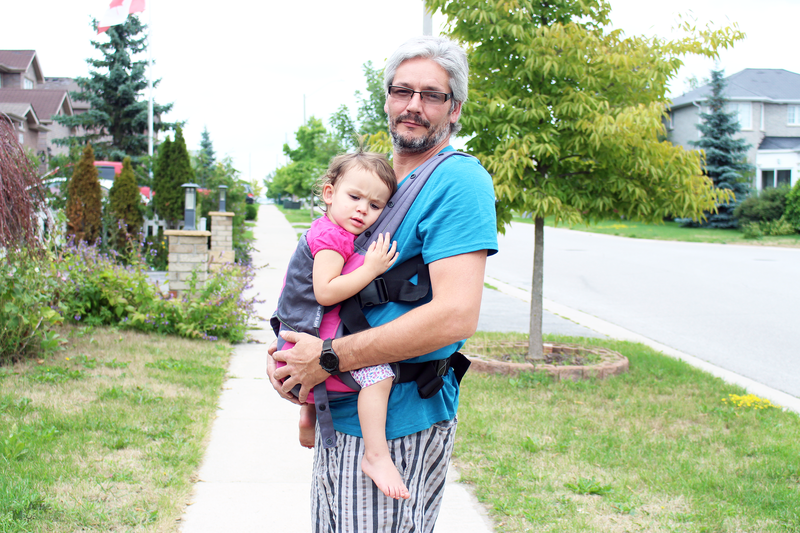 Babywearing helps babies be more content and less fussy. For more information or to pick up a Venture+ of your own (or one in each gorgeous color) please check out We Made Me.